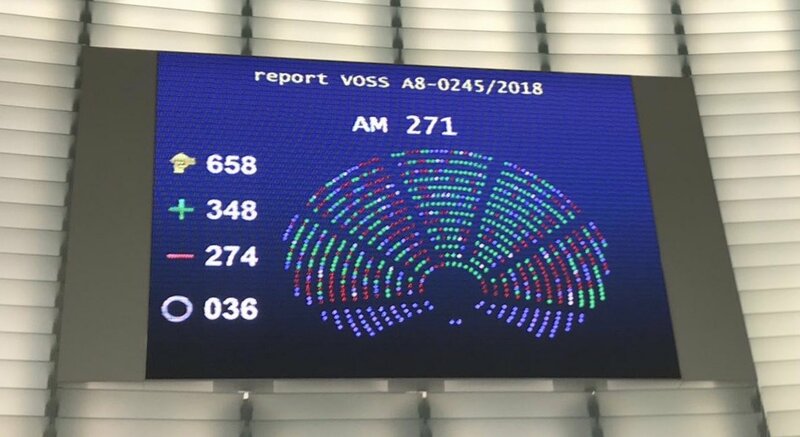 The European Parliament adopted today a report calling on the European Commission to develop a “comprehensive, coherent and long-term industrial policy framework for the cultural and creative sectors”. IMPALA, the European association of independent music companies, has been calling for years for an EU industrial policy focusing on the unique strength and diversity of Europe’s cultural and creative sectors. IMPALA’s digital action plan issued last year set out some ideas for what such a strategy might look like. The report adopted today by the European Parliament contains some particularly useful recommendations, from urging the Commission to close the ‘value gap’, to improving the sectors’ access to finance through various means. It also calls for stronger copyright rules, better measurement of these sectors and their impact, as well as the exclusion of cultural services from agreements between the EU and third countries. Helen Smith concluded: "MEPs Christian Ehler and Luigi Morgano, who initiated this report, have come up with great recommendations. The challenge now is to turn these into concrete policy. Part of this is a level playing field to allow smaller players to build on Europe’s digital market to provide more exposure and revenue for creators”. By “making clear that liabiliby exemptions can only apply to genuinely neutral and passive online service providers (…) and not to services that play an active role in distributing, promoting and monetising content at the expense of creators (…)”. Encouraging member states to introduce tax relief schemes, improving the participation of cultural and creative SMEs in EFSI, increasing the budget of the Creative Europe Guarantee Facility, better identifying and assessing the value of intangible assets, etc.